Here’s the Chron overview of the special election in City Council District E to replace CM Mike Sullivan. The establishment guy is David Martin, a member of the Humble Independent School District board. Until he resigned in August, he was one of Mayor Annise Parker’s appointees to the Harris County-Houston Sports Authority. He has the endorsement of incumbent Mike Sullivan, who is resigning the seat to run for county tax assessor-collector with a year left in his council term. Martin is the only candidate who has organizational endorsements, including those of the Houston Police Officers’ Union and the Houston Apartment Association, as well as from former District E Councilman Rob Todd and state Rep. Dan Huberty, R-Humble. He is a managing director at Marsh & McLennan Companies. Yet, unlike his opponents, he is not throwing rocks at City Hall. The upstarts: Lonnie Allsbrooks and Elizabeth Perez. Here are the candidates’ websites: Martin, Perez, Allsbrooks. As of this morning, Perez and Martin had 30-day campaign finance reports filed; she showed a paltry $375 raised and $1500 spent, with a $4500 outstanding loan to herself, while he raised $15,150, spent $3,742, and had $11,407 on hand. Martin is a first time candidate for Council, Perez finished third in the open At Large #2 race in 2011, Allsbrooks finished last among eight candidates for At Large #1 in 2009. Martin is also the lone Kingwood candidate, and the last two Council members from District E have been from Kingwood. I did not have the bandwidth to try to schedule interviews with these candidates, so I can’t give you an impression of them beyond that. (I did interview Allsbrooks in 2009.) If you live in District E, what is your impression of these candidates? There will probably be more when all is said and done, but at this time there are three candidates running for District E this November. Lonnie Allsbrooks – Former owner of Beer Island bar in the Heights. Ran for At-Large Position 1 council seat in 2009. Moved to Kingwood earlier this year. Wants to promote restaurant/hospitality industry issues. 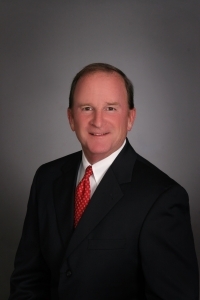 Dave Martin — Humble Independent School District trustee, Harris County-Houston Sports Authority board member. Clear favorite of Sullivan, who served with him on the Humble board. Managing partner at Marsh McLennan, a professional services and insurance brokerage firm. Elizabeth Perez – self-employed accountant who lives near Hobby Airport, plaintiff in unsuccessful suit to overturn the city’s drainage fee. Ran for At-Large Position 2 council seat last year. Sullivan submitted his resignation last month. I presume the filing deadline for this will be in September sometime. Candidates from Kingwood have won the last two times the seat was open. We’ll see if that streak continues. UPDATE: As noted by outgoing CM Sullivan in the comments, the filing deadline for District E has passed, and these three candidates are it. I guess I thought it would be later than this because that’s usually how it is for city elections; the filing deadline in 2011 was September 7. Be that as it may, this is your lineup. My thanks to CM Sullivan for the correction. Just as a reminder, Barack Obama got 61% of the vote in Houston last year. I don’t know how effective a boogeyman he’ll make, though I suppose that depends on where the ad airs. Roy’s eight days out report gives no hint of that, and all we know for sure is “it’s on cable”. If you see this on your TV, please leave a comment and let me know. Houston Politics, Martha, Mary Benton, and Greg have more. I confess, I’m not exactly sure what the message is that’s being conveyed, but there you have it. Finally, because some things just need to be linked to, I give you this. I knew this was coming, and yet I was unprepared for it. Returning to the At Large races, the next candidate for this year’s interview series is Lonnie Allsbrooks, who is running for At Large #1. Allsbrooks is the owner of the Beer Island bar in the Heights and has been in the restaurant/entertainment business his whole career. His entry into this race was sparked by a dispute with the city over a beer-and-wine license for a second Heights establishment. Allsbrooks is a resident of the Heights. 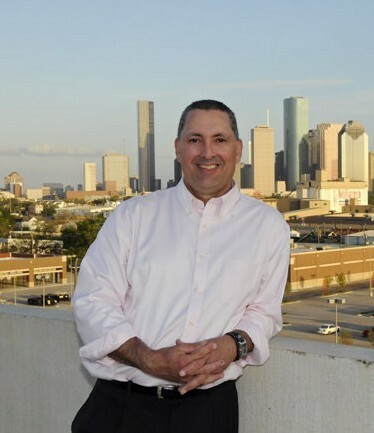 Rick Rodriguez to launch campaign for Houston City Council At-Large, Position 1. Richard “Rick” Rodriguez is a native Houstonian and a 23-year veteran of the Houston Police Department. He is a product of public schools, attending the Houston Independent School District’s DeZavala Elementary, Edison Jr. High and Austin High School. For 11 years, he was assigned to the Gulfton Police Storefront where he worked on the front lines in community-oriented policing. In addition to regularly riding bicycle patrol in this neighborhood, he served as the primary liaison officer to many businesses, civics, schools and church organizations. He is currently the president of the Houston Police Organization of Spanish Speaking Officers, a title held since 2007. He will formally launch his campaign for City Council At-Large, Position 1 on July 2, 2009 at Casa Grande Restaurant located at 3401 N. Main at 6:00 PM. Rodriguez joins a field that includes Herman Litt, Lonnie Allsbrooks, Steve Costello, and fellow former District H candidate Karen Derr. I presume he’ll update his website shortly. 1. What I know about the Heights being dry is that it’s because the formerly independent city that once was the Heights was dry, and that its annexation by Houston didn’t change that. As far as I know, an election would need to take place to overturn that. I remember seeing a map once that showed the dry/not dry boundaries, but I don’t recall where I saw it. If anyone can shed a little light on that, I’d really appreciate it. 2. The race for At Large #1 is now officially more fun than it was before. Read the Swamplot post and you’ll understand. UPDATE: An email to Whitmarsh’s list reminds me that Beer Island had a Tommy Thomas sign on it last year. That wasn’t exactly in touch with area sentiment. Lonnie Allsbrooks announced his intent to become candidate for At-Large Position 1 for the City of Houston. Lonnie Allsbrooks, a successful small business owner from the Heights, has decided to run for the City of Houston At large Position 1. As a resident of Houston for the past 38 years, Lonnie Allsbrooks has come to value and appreciate this community, but has realized there is the potential for growth and change. Lonnie Allsbrooks currently resides in the Heights where he owns and operates his small business, Beer Island. He is also in the process of opening a small café in the Heights called The Trail Mix. After the encouragement and support from other small business owners, Lonnie is excited about his decision to run for city council and the possibility of making a difference in the Houston community. Beer Island, for those not familiar with it, is on the southeast corner of Studewood and White Oak, catty-corner from Fitzgerald’s. I attended a meeting of the Woodland Heights Civic Association a couple of years back after Beer Island and its across-Studewood neighbor the Sixth Street Bar and Grill opened at which the topic of discussion was the loud live music being played at those locations. I live about six blocks away, and there was one night I recall where I could sing along with the band from my front porch. The meeting was a bit contentious, but in the end everything appears to have been worked out – at least, I’m not aware of any current complaints, and I’ve not heard any more music from either of those location. That’s all I know about Lonnie Allsbrooks, who joins a field that includes Herman Litt, Steve Costello, and fellow Heights resident Karen Derr.